Xiaomi’s launch event in Beijing earlier this week was crowded and full of cool announcements. The company announced three new phones: the phablet Xiao Mi Note 2, Mi 5S and the surprise Mixmodel. Image source: Xiaomi. Xiaomi Mi Note 2. The second generation of Mi Note resembles Samsung Galaxy Note 7. The 5.7-inch screen curves around the edges thereby maximising the viewable area (77.2% of the front area). The screen resolution is impressive and measures 2,560 x 1,440 pixels, which yields a really high screen density of 515 ppi. The dynamic contrast ratio is 100,000:1. The hardware that Xiaomi Mi Note 2 packs rivals that of higher priced competitors. This phablet is powered by a Snapdragon 821 processor. The processor utilises 4 GB or 6 GB RAM memory depending on configuration. The 4 GB RAM option comes with 64 GB storage, and the 6 GB RAM one with 128 GB of storage. Only the 4 GB RAM / 64 GB storage configuration is available in Asia. The high-capacity battery sports 4,070 mAh, which the large screen requires. Fast charging technology from Qualcomm ensures speedy charging of the battery. The single rear camera has a resolution of 22.6 MP and comes with image stabilisation. What about the price for so many premium features? Well, Mi Note 2 isn’t a cheap phone, but it’s still competitively priced at US$516. Images source: Xiaomi. Xiaomi Mi Mix. Xiaomi surprised the tech community by releasing a completely new 6.4-inch phone designed by well-renowned French designer Philippe Starck. His goal was to bring the content that users look at forward and has therefore designed an edge-to-edge phone. The result is a stunningly good-looking phone with an aspect ratio of 17:9. The additional 1:9 compared to traditional 16:9 aspect ratios makes space for messages and notifications. Xiaomi Mi Mix utilises a Snapdragon 821 processor. The price in China is 3,499 Yuan, which converts to NZ$828 inclusive of GST. Image source: Xiaomi. Xiaomi Mi 5S. Xiaomi Mi 5S was actually announced before Note 2 and Mix, but we’ll include it here to cover all new phones. The screen is 5.15-inch wide and has a resolution of 1,080 x 1,920 pixels. It runs on Snapdragon 821 and has 3 GB of RAM memory. The rear camera shoots in 12 MP resolution, and the front selfie one has a resolution of 4 MB. The battery capacity is relatively large at 3,200 mAh. 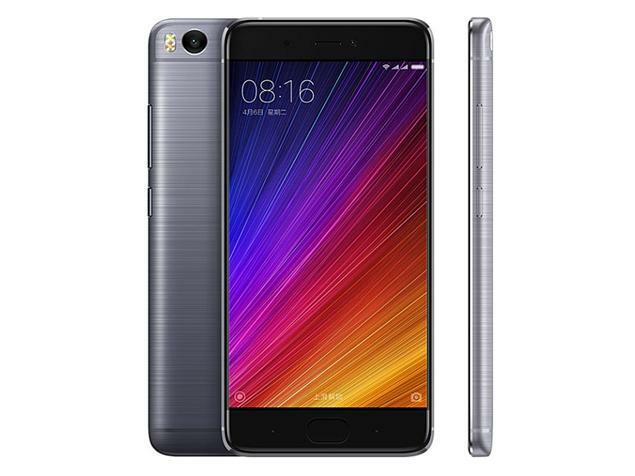 Xiaomi Mi 5S currently retails at $902 in New Zealand for 128 GB storage.